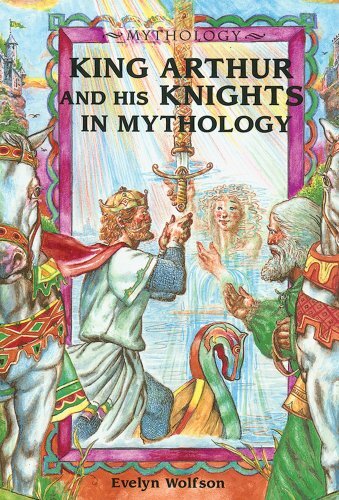 It's astonishing that Edith Hamilton's MYTHOLOGY outsells this book on a regular basis.I think most educators just look at the publication date.Since Hamilton's book was published in the 1940s and Bullfinch published in the 1800s, they think Hamilton's book must be much easier to read:not so. While Hamilton's MYTHOLOGY is confusing, redundant, and just plain inadequate in spots, Bullfinch's MYTHOLOGY provides clear and often exciting renditions of the much-loved myths.While Hamilton summarizes, Bullfinch is an excellent storyteller, who pulls you into the story in the same way that the original authors did.Even though Hamilton wrote sixty years or so after Bullfinch, her diction is much more confusing than his.For educational purposes, I heartily suggest giving Bullfinch's MYTHOLOGY a try. The only gripe I have with the text is that it uses the Latin names for the gods only.Modern mythology has seen a return to the original Greek names.This can easily be overcome though. Wonderful collection. . . .
Thomas Bulfinch taught at Harvard College in the mid-1800s.He saw a need to collect myths and legends of the classical and later world, as these were important parts of the Western culture.Three books ensued: "The Age of Fable," "The Age of Chivalry," and "Legends of Charlemagne. "Edmund Fuller is the editor of this volume. First, there are nice introductions to each of the three component works.These provide useful context for what follows. "The Age of Fable" includes some well known episodes, such as Prometheus and Pandora, Midas, Monsters (e.g., Giants, Sphinx, Griffin), the Golden Fleece, adventures of Hercules, and so on. "The Age of Chivalry" focuses upon the legends of King Arthur.Here, we see segments on Sir Gawain, Launcelot of the Lake, Tristram and Isoude, Perceval, and the death of King Arthur. The final work addresses legends of Charlemagne. The tale of "The Battle of Roncesvalles" and the heroism of Orlando is well told. All in all, a nice version of this collection of works by Bulfinch. Entertaining book, easy to read. Although I personally find the idea of the "Sarmatian Connection," as it has come to be known, very interesting, I don't find the evidence really all that convincing. For one thing, the Caucasian oral traditions of the Narts are recorded only from the late NINETEENTH century - why does no one ever seem to ask whether the direction of influence was the other way around? That is, perhaps the Nart traditions were derived from the Arthurian stories, which were popular all over Europe, rather than the Arthurian stories having derived from the Nart cycles. It seems to me that would explain the parallels without assuming hundreds of years of "crypto-transmission" from pagan Sarmatian cataphracti to medieval Christian bards. I am a student of medieval history, and in fact am working on a research paper right now to determine if there was any kind of cultural influence on the Scots/northern British. I must say that this theory is the most ridiculous I've ever seen. In relation to cavalry, Malcor and Littleton completely ignore the fact that the Celts, Romans and Germans had cavalry, in most places before any contact was made with Sarmatians. Effective battle tactics are much more likely to be adopted than foreign legends. This alone negates their theory. I emailed Dr. Malcor when I began my research because of the difficulty in finding information on the Sarmatians specifically; most of it was on the Scythians. She replied with the name Sulimirski, who I've read since and his own research contradicts hers. She sent one additional tidbit. There is a genetic study being conducted on families in Scotland, along the Hadrian's Wall area, and in NE Ireland. This study has found genetic markers unique to Eastern Asian and Scandinavian peoples. Malcor emphasizes the Eastern Asian connection, and pushes the idea that it is from the Sarmatians. However, any person even casually familiar with British/Irish history know 1.that Scandinavians settled, raped and raided in Scotland and Ireland both for centuries. A few thousand Sarmatians will not make that kind of difference. 2.The frequent movement between Scotland, Britain and Ireland, with settlements and marriage. Centuries of settlement and marriage will make a larger impact than a few foreign imports. These are more compelling facts than the Sarmatian theory. Last, although Melcor and Littleton choose to emphasize the work of Sulimirski, they neglect to mention that of the 5,500 Sarmatian cavalry troops sent to the Hadrian's Wall area, and this is the only place they were sent by Marcus Aurelius, he acknowledges that 5000 of them are unaccounted for. The little settlement at Ribchester they make so much of was a typical veterans settlement, which would have only had 500-1000 veterans. The others disappeared from both history and Roman records. Most likely they were killed in combat or deserted. The other assertion they had was that the Sarmatian/Alan cavalry was the inspiration and direct ancestor for the well-known medieval "knight in shining armor". The question I asked myself the entire time was "why did it take more than 1000 years for this kind of knight to develop in Europe?" It seems obvious that if both tribes had the kind of influence in Britain and Gaul that Melcor and Littleton insist on, the prototypical knight would have developed much sooner. The shoddy research and manipulation of facts were very funny to read. If you want a good joke, by all means read this book. But if you want historical fact or plausible theory, leave it strictly alone. An inconvenient truth indeed.On par with scholars like Dr. Frye of Harvard and John Curtis the Curator of British Museum, Prof. Littleton too has given us a new, modern view of these tales and the influence of Sarmatians (North Iranian tribes) on the Anglo-Saxon mythology. The book is based on new, shocking archeological evidence left behind by Sarmatians and their Scythian cousins, based on the writings on cave-like walls traced back all the way to northern Iran. Anyone who questions these findings is like when the church executed Galileo for saying, "the earth is round, and it evolves around the sun";or the Christian right questioning evolution and Darwin:hard-evidence and logic speaks for itself, and Prof. Littleton (of Scottish background himself) is recognised as one of the leading Arthurian scholars of his time. Recommended only for revisionist historians. Littleton and Malcor purport to prove that just about all--yes, all--Arthurian legends stem from the ancient horse cultures of central Asia. What they deliver is something less. 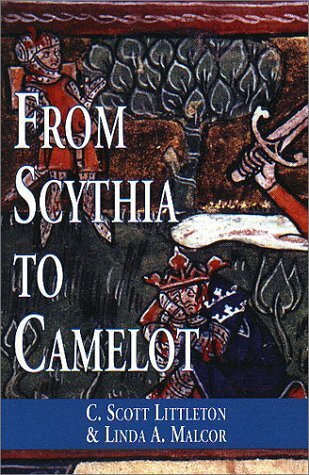 Riddled by unflagged opinions and "presonal communication" masquerading as scholarly sources, this book does provide exhaustive analysis fo many Arthurian tales. As a goad to further discussion and research, this book works. As "one of the most significant scholarly works on any subject in the humanities written during this century", as the cover blurb claims, it fails. Reader be warned, Littleton and Malcor do not examine the various theories of who or whether there was a historic Arthur. They are content to accept the work of others there. What they do is discuss the origin of the stories. They should have reviewed J. R. R. Tolkien's "On Fairy Tales" ("The Tolkien Reader", Del Ray, 1966). While not denying, because he felt it strongly himself, "the desire to unravel the intricately knotted and ramified history of the branches of the Tree of Tales", Professor Tolkienb quotes with approval, "We must be satisfied with the soup that is set before us, and not desire to see the bones of the ox out of which it has been boiled." Despite his decades as Professor of Anglo-Saxon [philology] at Oxford, Tolkien humbly acknowledged himself too "unlearned" to deal with the "questions of origins." Littleton and Malcor suffer from no such humility, but then their book hardly reflects the high standards of scholarship Tolkien probably sought. Recommended only for the serious student of Arthuriana. For all I can tell, Littleton and Malcor's theory may be correct, but their methodology and documentation clouds rather than supports their scholarship. I appreciate the authors of this book shedding light on the commonly unaccepted belief that Arthur was actually a Roman battle commander.Contrary to come reviewers comments, this book was thoroughly researched and presented exceptionally well.To say Lucious Artorius wasn't alive during the accepted time of Arthur or all the Knights had Celtic or Gallic names is to fall into the trap of historians protecting what they were tought, regardless of the facts at hand...... it's sort of like saying Senator McArthy was wrong about communist spies even after the Venona Project was declassified.You won't here those types of things because historians defend their positions regardless of indisputable facts.There is no accepted time frame for Arthur, every historian and scholor is stumped to when it comes to hard facts about him.As far as why the names are all celtic and gallic, when legends and languages evolve, people twist them to make them their own. Languages, pronunciations, spellings, they all change, and get passed down..... if you were a british soldier would want to hear heroic tales of Sir Slobadon or heroic tales of Sir Tristan to inspire you for battle? Ronan Coghlan has done a who's who on Grail Lore, with wonderful illustrations by Courtney Davis. 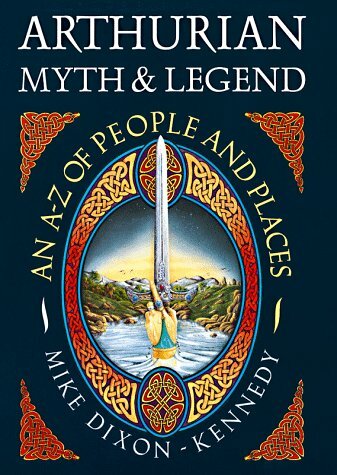 Very readable, it lists all the characters surrounding Arthur and the myths and legends legends of the Knight of the Round Table.Coghlan is the Author of other useful books, Dictionary of Irish Myths and Legends and Irish Christian Names. Just not a list of people with a footnote of who they were, he fully references the listing with other writers of fiction and history. So not only is this a super reference to Grail lore is a good interface in history as well. It also covers places as well as people.Highly recommended for all Grail Library. I have yet to find anything as packed with information. 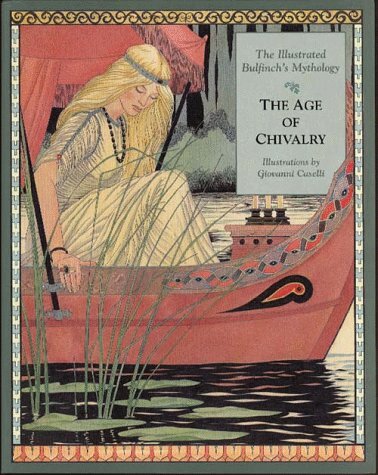 Ah, The Illustrated Encyclopaedia of Arthurian Legends: I was practically raised on this book! I have learned everything I know about Arthurian Legend with it. I have always loved it not only because I was able to study the literary aspects of Arthurian Legend, but also the historic background of the legends themselves. I understand it may seem a bit over people's heads at times (mainly because of its lack of detail on certain topics). Although, I am not sure it had much to do with the author. (Sometimes it is brief because there is not a lot of information available to us in some cases). I would agree that it is apparent in this book that his knowledge is extensive, and perhaps he does take some of it for granted. Personally, the only thing I can really complain about are his brief descriptions of some the alternate legends, as there was little mentioned as to WHY there were differing versions. I would have liked to have seen more on each subject in general in the book. 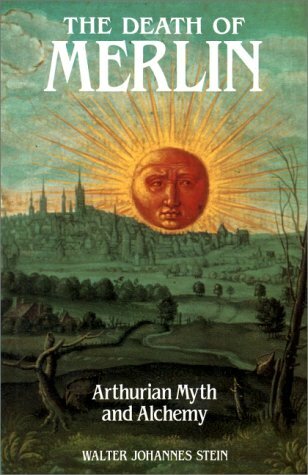 However, so far I have not come across such a balanced book on Arthurian Legend: (not too hard a read, but yet not too basic). I would recommend this book to one who is getting started in the legends, as it is arranged in an easy elementary storybook fashion. 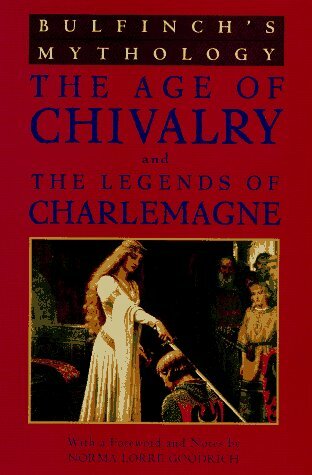 I would also recommend, however, reading "La Morte D'Arthur" by Sir Thomas Mallory concurrently. 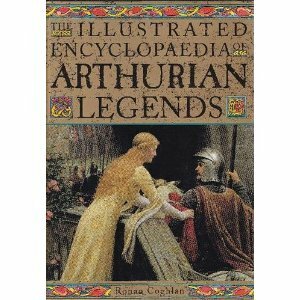 "The Encyclopaedia" would be a great addition to any library of Arthurian Legends, and I think it's shame it is out of print. 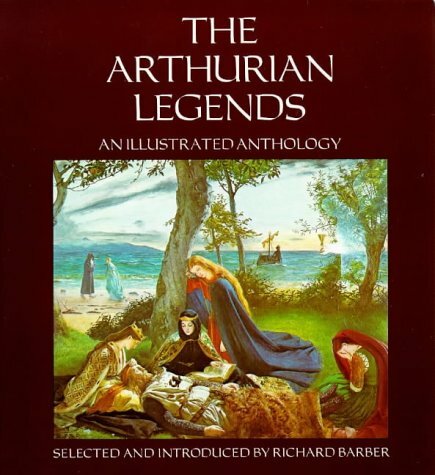 This is an A-Z encyclopedia of the people, places, events, and artifacts pertaining to the various derivations of the Arthurian legends.It is lavishly illustrated with artwork and is an exhaustive reference source. 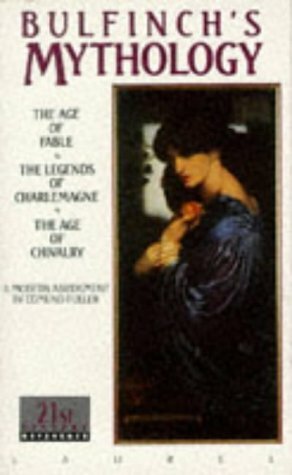 The author states upfront that, for purposes of study, he considers anyliterature written before the time of Thomas Malory's LE MORTE D'ARTHUR tobe fair game and part of "authentic" Arthurian lore.Anythingafter Malory is either a modernization or a retelling of the originallegends.Therefore, references to works such as Tennyson's IDYLLS OF THEKING and White's ONCE AND FUTURE KING are omitted. This book is wonderfulreference material.It alludes to many obscure source materials andattempts to explain the origin of many elements of the stories of Arthurand the Round Table.However, I would not recommend it for novice fans.Coghlan takes it for granted that most of the stories are familiar, and hespends most of his time explaining how the stories originated, how theywere altered over time, and why inconsistencies exist.The format of thebook makes it useful for looking up a particular name but not for browsingthrough a chronology of the tales. This book is for the scholars andhistorians, not necessarily the readers and dreamers. This is a small book with pages yellowing from age (cheap paper). There are a few line drawings, but no "beautiful illustrations." The other reviews obviously refer to different editions, and are completely misleading. This is a beautiful book, with magazine style articles (they coincide with the pictures).It is a great book to have around the house for a casual fast food reference of Authurian art, and a sort of who's who in the legendary relm of King Arthur. Great for all ages. The spread of the Arthurian legend during the course of the twelfth century is one of the most remarkable phenomena in literary history. Arthurian Chronicles looks at two unsung but deserving poets who contributed to the diffusion of the legend, Wace who preceded the more famous Chretien de Troyes, and Layamon, who followed him. Wace was of an inquiring turn of mind, with, for his day, a scholarly and sceptical approach to lais, marvellous tales, and fables. `Not all lies, nor all true, all foolishness, nor all sense. So much have the story-tellers told, and so much have the makers of fables fabled to embellish their stories, that they have made all seem fable,' he writes. He was the first to mention the famous Round Table. In Layamon's Brut, Arthur, hero and emperor, makes his first appearance in English vernacular literature. It is Layamon who tells of the elves that attended on the infant Arthur and endowed him with gifts and qualities; he also launched Arthur after his last battle to Argante in Avallon, to be healed of his wounds. In this English language prose translation of the Wace and Layamon Arthurian poems,the folk-tale ferocity of Arthur is made as exciting to the readers as to the poets who contributed so much to Arthur's legend. Originally published by J.M. Dent & Sons,1962. I didn't care about any character in the book or any of their meaningless spiritual adventures.The story, like the knights on the grail quest, just seemed to wander around lost for 130 pages until it was time to cross the "T"s and dot the "I"s on the anti-climactic finish. Maybe if you are a Renaissance Fair Junkie-Type who is all into knights, the grail and Catholicism you might find this passable (if you can stand reading the word "hermitage" 200 times), but I think most rational people will find this book boring with a capital B and pointless with a capital P.
separate ways to try and find it. them to succeed in their journey. I read this book when I was in fifth grade and I was thoroughly entranced with the tale of King Arthur's knights and their adventures as they searched for the Holy Grail.There are some unfamiliar words in the book, but the story is not confusing or hard to follow.However, the writing is somewhat dense and may leave some people bored.Though I loved this book when I was in fifth grade, I had a hard time re-reading it when I was older because I felt the writing was too slow. The book mainly follows three knights of the Round Table on their separate searches for the Holy Grail, so each chapter tells about a different episode in one of the knight's quests.There are plenty of haunting and mysterious scenes here to intrigue anyone.One of the most beautiful parts of the story is the description of Sir Lancelot meeting Sir Galahad. This book is the second in a trilogy; the first one is THE SWORD AND THE CIRCLE, which tells of how King Arthur comes to his throne and also includes many other Arthurian legends, such as Sir Gawain and the Loathely Lady.It leads up to the Quest for the Holy Grail, which is the story of this book.The last book in the trilogy is THE ROAD TO CAMLAAN which tells about the end of Camelot.All three books are very good re-tellings of the King Arthur stories, though I think this one is the best of the trilogy. The Light Beyond the Forest by Rosemary Sutcliff had an extremely interesting plot. The reader follows the quest for the holy grail in four different characters. Sutcliffe jumps back and forth between the quests of Sir Percival, Sir Bors, Sir Galahad and Sir Lancelot. The time of the setting is in the medevil age. It takes place in many locations throughout the story. There are a few suspenseful twists that will keep you waiting until the end. Throughout the quest many conflicts appear between the characters and the grail. This story is about the many exciting adventures of a few of the main knights involved in the Grail Quest.It many follows Sir Lancelot, Bors, Percival, and Galahad.The stories tell of their journeys through unfamiliar lands, saving damsels in distress, and over all trying to find the Holy Grail the one thing all the knights' desire, but only one knight can recover it. A perfect sourcebook for Arthurian lore, ranging from Welsh histories to modern movies and novels.Jammed packed with information, but certainly not boring to read.This book is awesome! This huge book spans the length of Arthuriana and is an interesting read.However, I was left questioning way too much.I was constantly asking myself, "from where does Mike Ashley get his information? "I'm not saying it isn't authentic, but he rarely names sources.For instance, though I've read the geneologies available to me, I've never come across certain names or connections Mike Ashley gives.He always says "the geneologies state," without saying which one.As a reader, and Arthurian scholar, I want to be able to authenticate any information given to me. Also, his "accepted" criteria for a generation (25-30 years) is way too calculated.With women having children at early ages and men fathering children even into old age (which wasn't that old in the Dark Ages), only a few generations could completely throw Ashley's time-scale way off.Just three generations of people having children at age 20 could throw the scale off by up to 30 years! Finally, the book is written as if definitive, though precious little known about King Arthur and his time period is definitive.In some places, Ashley gives information like it is historically accurate even though such information directly contradicts most Arthurian scholars.For instance, under the entry for "Anna," Ashley says that the "name Morgause is almost certainly derived from Gwyar. "Under the entry for Morgause he implies that this name derives from Morcades or Orcades.This later explanation is the one generally accepted by Arthurian scholars, from what I've read. In fact, many of his supposed historic explanations for Arthurian characters contradict the majority of Arthurian scholars. This might seem small, but compounded over the length of 670 pages, you have a book full of contradictions and theory presented as fact.If only I knew his resources, I might be able to give this book more than 2 stars.As is, I found it almost entirely unuseful. I've had spotty luck with the Mammoth series before; some are quite decent, some are obvious hack jobs, and one or two are just loony (the Mammoth Book of Jack the Ripper pops to mind). This one is divided into three rough sections, of unequal size and value. The first attempts to break down the "historical Arthur," who Ashley defines first as "the war-leader of the Britons at Badon Hill" and only second as "the guy who Geoffrey of Monmouth was talking about." This results in a pretty thorough chase through obscure Breton king-lists, Nennius, the Ten Battles (fifty pages on them alone), the Welsh Triads, and so forth until he gets to a list of twenty, count-em, suspects. These range from Lucius Artorius Castus (the only Roman commander named 'Artorius' known to have served in Britain) to Arthwys ap Meurig (the king, perhaps, of Gwent in the seventh century, unless he wasn't). 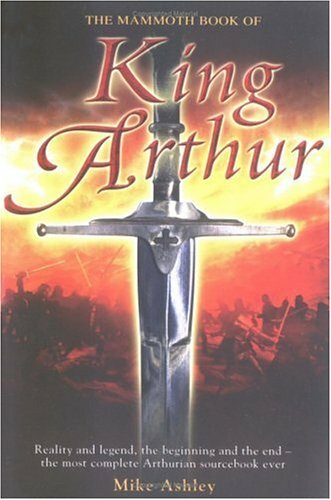 Ashley quietly plumps for an Arthur based in Gwent or Powys, but argues that Geoffrey's "Arthur" is a composite of five or six British leaders with mythic elements from Alfred and Aethelstan, and constructs a perhaps over-delicate genealogical lattice-work with which to argue that the victory at Badon was a coalition victory under a king of Dyfed named Agricola or Aircol, with one Vortipor/Gwerthefyr as the primary commander and possible "dux bellorum." This is about as good as things get without getting into Deep History. If this section has a flaw, it's probably best highlighted by Ashley's nervous-making habit of citing Laurence Gardner's Bloodline of the Holy Grail without using the words "barking mad." I'm certainly not an expert in post-Roman British chronicles, so for all I know, Gardner's research into the political-military complexities of the Saxon frontier is actually a model of meticulous restraint -- but I doubt it. Ashley does do a good job of highlighting when some fruity speculation is Gardner's and Gardner's alone -- the first time it appears. By contrast, he is politely dismissive of Geoffrey Ashe's various enthusiasms, and wisely so. That takes us to page 306, where we begin about 200 pages of primer on the Arthurian Cycle, beginning with some potted history of the twelfth century and then into the various versions of the Tristan, Lancelot, Perceval, Galahad, Merlin, and other sub-cycles through the 14th century. This is excellent stuff, well presented; the Grail section is remarkably free of utter crazitude, although again it's no substitute for a specialist work on the topic like Richard Barber's The Holy Grail (the best single book on the topic). Then a short chapter on Malory, and another brings us up to Tennyson and the Pre-Raphaelites. This is all clear and relatively straightforward; it's also stuff I probably could have assembled myself from my bookshelves -- but not in only $13.50 worth of my time. We close up with sixty pages of Arthurian novels, narrowly defined (no That Hideous Strength or Drawing of the Dark), and ten pages of Arthurian movies -- this is all pretty disposable stuff. Its lack of attention to poetry means only tangential discussion of Eliot and (what's worse) none at all of Charles Williams. Finally, we have about ninety pages of decent Arthurian Cycle "Who's Who" and gazetteer, more historically minded than Phyllis Ann Karr's wonderful (but primarily literary) Arthurian Companion and therefore of some good utility despite its relative brevity. A solid index in microscopic type concludes our program. Ashley has read, and widely, all across the topic; for example, he cites John Hughes' far from seminal work Arthurian Myths and Alchemy in passing while discussing Malory and the court of Edward IV. Ashley cites Littleton and Malcor fairly, although space (and his inherent charity, perhaps) prevents full attention to their "Sarmatian thesis." He cites both Keys and Baillie on the Catastrophe of 535, and links it (too sketchily) to the discussion of the Waste Land. He even notes the possible ties between Amlawdd Wledig (from "Culhwch and Olwen") and Hamlet, although he (probably rightly) dismisses them. He misses one or two Arthurs from the fringe of the fringe -- there's no discussion, for example, of W.A. Cummins' dotty theory that King Arthur was actually a Bronze Age Wessex Culture monarch who built Stonehenge. (I'm hesitant to consider that particular absence a flaw.) Out there on the edge he does misstep occasionally; his brief discussion of St. Brendan badly confuses Brendan with Bran, both of whose immrama are relevant to the Arthurian mythos.